This is a post about how to ensure that you and your managers spend time working on what really matters to the business through adopting the concept of Standard Operating Procedures. You have limited cognitive capacity, and hours in the day, and so how you spend it is incredibly important. Being able to separate the tasks that only you should be doing from those which you currently do, but that others could, is the best way to scale the impact that you have, and is the central theme that are going to cover. The reason you are in your position of making a positive impact on your company is your ability to think creatively, engage and inspire clients and motivate teams. That said we all know that the hard reality is that the business won’t run without operations being done. A common mindset that we find ourselves in when we look down at the list on tasks each week is that “it’s just easier that I do it”. Whilst this will be true for today, with this mentality, you will forever be limiting yourself with what you can personally achieve. Game-changing moves in your business comes from uninterrupted periods work and as leader in your business, having your day cluttered up with “5 minute tasks that just need to be done” drastically hampers your ability to exercise your vision in taking your team to the next level. New Yorker journalist Atul Gawande undertook a multi-year study to understand what made the best organisations so effective. Researching practices across multiple domains, such as hospitals with lowest death rates, he found that the common denominator in all was that they adopted a culture of writing checklists. That’s it. A checklist. It sounds simple, but the commonality all of these well-oiled organisations shared was the practice of writing down what needs to be done for every important aspect of what they do, and ensuring that people follow the instructions. In short, an organisation that can document their important functions will be more likely to thrive. 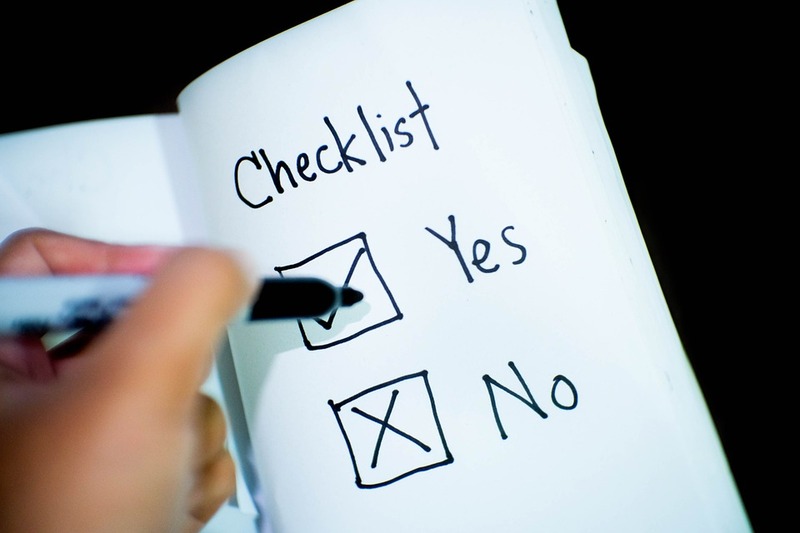 In the zippy world of modern business, the term “checklist” can seem quite lightweight, and so the equivalent buzzword for those seeking the Business School terminology is: Standard Operating Procedures. Or SOPs. Essentially it’s the same, though calling it this implies more detailed instruction than a simple box to tick off. The purpose of an SOP is to be able to give someone with zero (or close to zero) understanding of the task at hand and allow them to execute without requiring any outside help. For the purposes of longevity and accuracy, an SOP focuses on written, rather than verbal, transfer of knowledge and requires you to draw upon your skills as an effective manager. Quite simply, it’s a document that lays out the steps to complete a task. It is probable that some of the tasks that you or your managers may seek to train others to do are complex in nature. Writing a document that takes something complex and reduces it to its simple form can be difficult, and so don’t worry if it becomes a struggle at first. Indeed Nobel Laureate (and master communicator) Richard Feynman notes that the only way to truly understand something is to be able to explain it to a child. By keeping in mind that the way we scale ourselves is by having others do our work to the same standard, here is a procedure to hand over tasks that others could do for you. The best candidates for SOPs are functions that exist in the company in a predictable manner. The shorter the cycles between the task being done the quicker the learning time. Anything that requires too much creative input (which is by nature hard to define), or is based on an irreplaceable personal relationship should be left with you for now. In general someone who is willing to learn and has a base level of competency is the best person for the job. When it comes to completing the task, open up a new document and set aside some time to go through each discrete step that you need to do in order to complete the function. This will certainly mean that it will take longer to complete the tasks than when you do it normally, but remember, it’s the way in which you declutter your head space going forward. By the end, you should you have a thorough step-by-step document detailing how to do the specific task as if you had no prior knowledge. The next stage is walking through doing the task. People learn best when they can see how something is done, and so have them come to your desk to watch the steps that you go through. Importantly, whenever you have to explain something, refer back to the SOP draft that you’ve written and check whether you have been explicit enough in the step-by-step guide. If you simply explain there and then with words then it’s dependent on the person remembering that step, which limits them to doing the tasks and increases the likelihood of error. Once the draft SOP seems complete enough, send a copy of it to them for them to digest. Note that you could always skip Step 2 and jump straight here, it’s just that it might take more time to write up the draft anyway. The next time that the repeatable task needs to be done, go to their desk and sit with them as they go through completing task. You should just be there as an observer in case anything goes drastically wrong (and so can always be catching up on emails if needs be). Importantly, if they have any questions they should refer to the SOP rather than directly to you. It can even be helpful to have them verbalise the questions that they are thinking when going through it “OK, so now I’m looking for the right folder to save it in”. If the SOP doesn’t explain it clearly enough then update accordingly and don’t get frustrated. Remember that the key to communication is not what you say, but what the other person understands. By the end, they will have (ideally) gone through the completion of the task only referencing the SOP. Be sure to also instill in them that this is their document to detail how to do the task going forward. The next time that the task needs to be done, perhaps be “on call” in case of an emergency when it’s being done, and check the results afterwards, but slowly you can recede your involvement in the completion of the task. As you seek to grow your employees into leaders themselves, you should aim to teach them this method so that they too can scale themselves, and devote their working hours to tasks that will grow the business. In the process over undertaking an SOP, some other points arise. This post has aimed to persuade you not only of the importance of reducing the number of tasks that require you to be directly involved with, but also demonstrating a methodology by which you can do so. This not only dials down distraction from the important work you do, but reduces the need for sending those late night/ weekend emails because you’re “the only one who can do it”. Whilst you could just tell someone to “figure it out yourself”, this compromises the task being completed effectively and risks time being wasted as they spend hours working out what you could tell them in minutes. Getting good at passing on the tasks that you do to others is an excellent way to empower your team, and preserve your cognitive head space for growing your business.